EORC's London Shag rugs are hand-tufted with enhanced polyester for exceptional sheen and softness under foot. Modern and versatile at the same time, the London Shag is easy to decorate with and a bold statement for your floor. . Meticulous craftsmanship ensures strength and durability to withstand high-traffic areas. Durable cotton canvas with latex backing . Hand-tufted with 100-percent shimmering Polyester ensures no shedding. 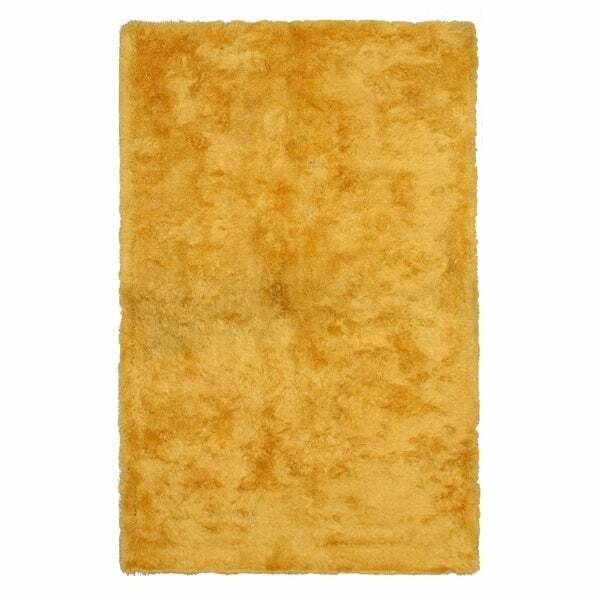 Silky soft fibers provide this shag rug with a luxurious feel. I love the color of this rug and the shag style. It looks great in my family room. The reason for the 3 stars is that heels,toes, shoes in general, get caught in the loops of the shag. With bare feet it is not a nice feeling! We are slowly breaking in the rug and eventually the loops will be broken. It doesn’t cause them to fall out of the rug which is good.